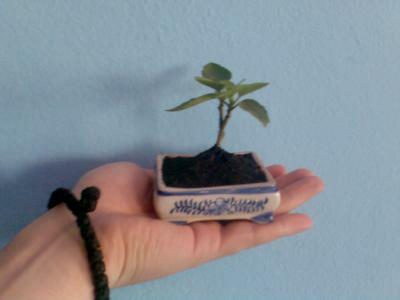 This is definatly a cool little pot, could maybe do with a smaller leaved tree in it. A Kowhai perhaps? ?